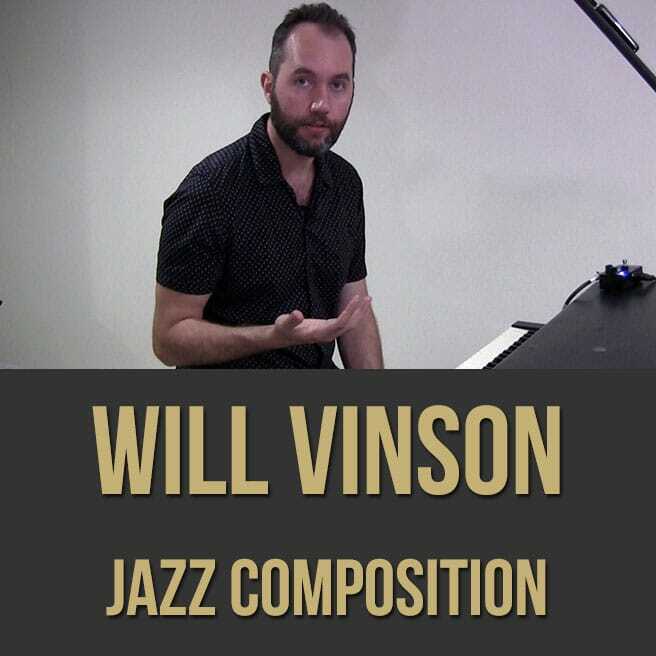 Description: In this full-length jazz composition masterclass, acclaimed alto saxophonist and composer Will Vinson breaks down his composition process. Will discusses how he writes music and what he feels is most important in a jazz composition. 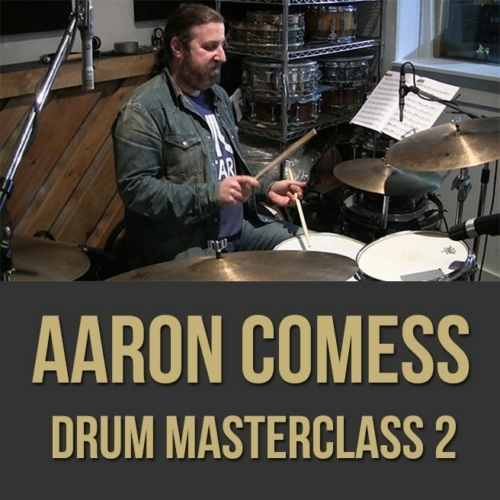 He also dissects three of his original tunes, "Albemarle", "I Am James Bond" and "The Clock Killer". 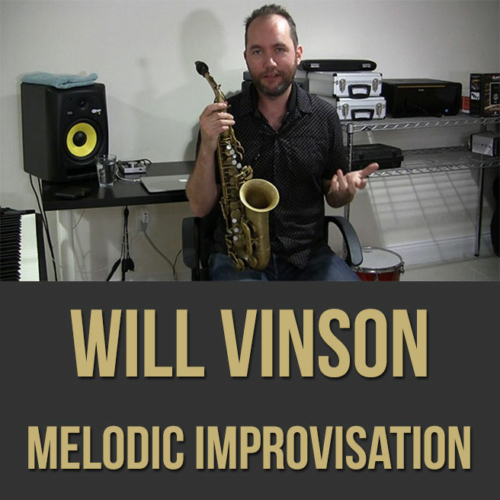 If you want to get an inside look into Will Vinson's creative process, this video is for you. 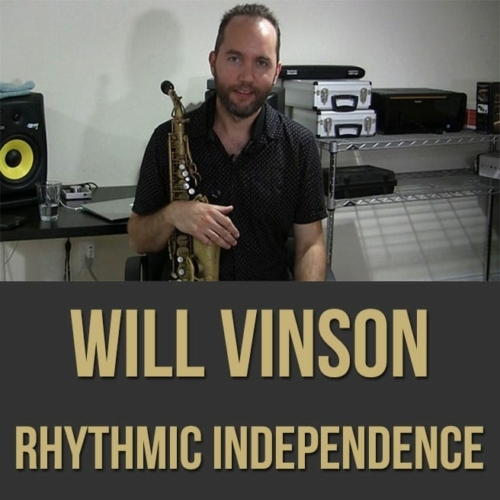 NOTE: There is a PDF bundled with the "purchase" version of this video (not the $8.99 "rental" version) which includes the charts for Will's tunes demonstrated in the video. 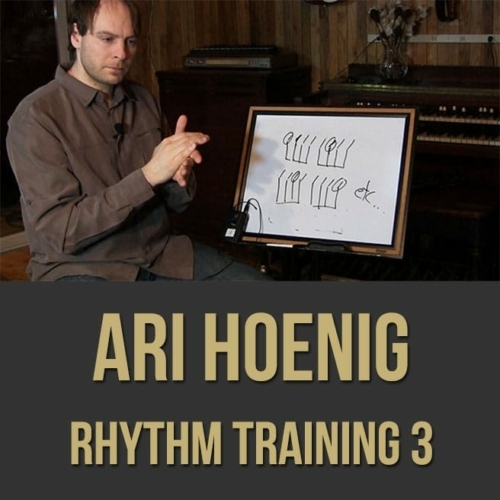 Topics Covered: Jazz Composition, Harmony, Melody, Repetition, Odd Meters, Space For Improvisation, Simplicity, Voicings, The Writing Process, “Albemarle”, “I Am James Bond”, “The CLock Killer”, Etc. John Benitez, Aaron Parks, and many others. Will is a member of a number of leading jazz ensembles, including Gonzalo Rubalcaba’s Quintet and Septet (Will is featured on Caminos, and an upcoming tribute to Charlie Haden) drummer Ari Hoenig’s Punk Bop (Inversations, Bert’s Playground, and Live at Smalls), Miguel Zenon’s Identities ensemble (Identities are Changeable) and guitarist/ composer Jonathan Kreisberg’s Quintet and Quartet (The South Of Everywhere, Shadowless, Wave Upon Wave). In 2012, along with bassist Orlando le Fleming and guitarist Lage Lund, he formed the critically acclaimed OWL Trio, whose eponymous debut in 2013 was hailed by critics and listeners alike. Downbeat declared: “Everything about this album, which should contend for debut of the year honors,is a resounding success. The music swings effortlessly, every utterance is gorgeous and the recording is intimate and beautiful”, while All About Jazz noted that “the chemistry, sensitivity and simpatico sensibilities exhibited by these three young men are evident at every turn….OWL Trio is one of those records that finds power in quiet expression, not raised volume or aggression. Lund, Vinson and le Fleming make for an absorbing combination”. Will has an international reputation as a leader and sideman. All About Jazz New York describes Will as playing “with a relentless force”. 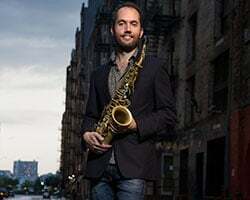 Thomas Michelsen of Denmark’s Politiken, hails this “very exciting saxophonist” with a “beautiful, softly modulating tone”, and John Fordham of The Guardian described a “superb solo of rugged leathery sounds turning into mellifluous high notes” with “secure control and storming energy”. Time Out London calls will an “exciting young altoist with a lethal approach to writing and soloing”. Will has released 5 CD’s as a leader/composer. It’s For You (Sirocco Jazz, 2004) was described as “combining a thoughtful originality of conception with energy and fluidity of execution in very satisfying proportions” (Jazzwise magazine), and “an auspicious debut, an album that is as mature in its conception as it is in its execution” (All About Jazz New York). Will’s second CD, Promises (NineteenEight Records), was described as “impressive” and “coolly restrained” by Nate Chinen of the New York Times. 2010 saw the release of two CD’s: The World (Through My Shoes), a live recording was described as “marvelous” by Downbeat and “exhilarating, cascading… outstanding” by Jazz Times. Stockholm Syndrome (Criss Cross Records) came out in September 2010. 2013 saw the release of “Live at Smalls”, one of the most successful albums on the Smalls Live label. Will has appeared with his own group and as a sideman in the USA, Canada, the UK, France, Germany, Norway, Sweden, Denmark, Italy, Spain, Ireland, Portugal, The Netherlands, Belgium, Austria, Switzerland, Australia and Japan. 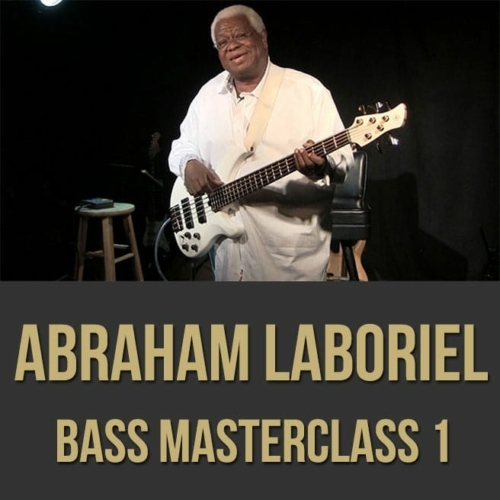 His musical experience has not been limited to Jazz. Will is a member of Rufus Wainwright’s band, which toured for 10 months in 2007/8. He has also performed, arranged and/or recorded with Sufjan Stevens, Sean Lennon, Martha Wainwright, Beth Orton and Harper Simon. 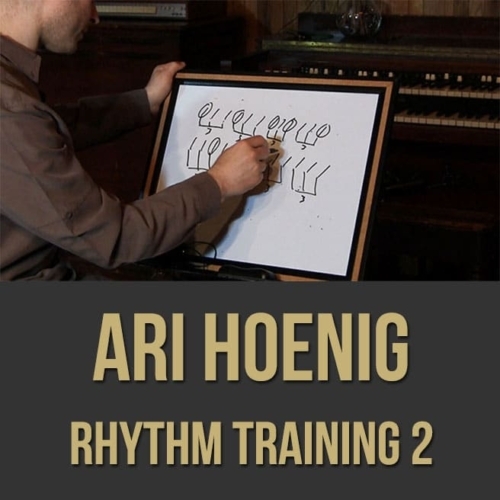 colleagues, combines a great respect for the century-long jazz tradition with explorations into the rhythmic, harmonic and melodic realms of contemporary forms.